Walt McGrail is a Managing Director with Cendrowski Corporate Advisors. Walt is one of the firm’s senior tax and legal technicians, and has provided consulting services to a variety of partnerships, corporations, estates, and high net worth individuals over the course of his career. 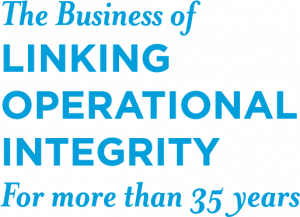 For more than 30 years, Walt has consulted with numerous publicly-traded, private, and family-owned businesses to develop, manage, and report tax-efficient strategies. Walt’s experience encompasses the real estate, professional services, private equity and venture capital, retail, and financial services industries. His experience also extends to assisting counsel with litigation support and forensic accounting services for matters including income taxation, real estate, complex investment profiles and the accountant’s standard of care. Walt serves as Director of CCA’s Tax Practice. 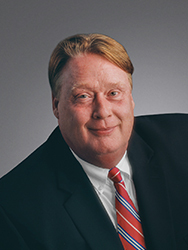 Examples of his tax planning and compliance engagements include: Implementing the adoption of an ESOP structure including coordination of plan adoption, the owner’s exit strategy and identification of third party lending sources; establishing REIT testing guidelines and training for the manager of a $250 million privately held multi-property REIT; providing comprehensive Section 409A guidance for the deferred compensation packages of a large financial institution’s executive management team, including assisting counsel in conforming the plan to 409A requirements; coordinating the qualification of substantial Research and Development Credits for a manufacturing company; providing tax strategies, income tax compliance, and business consultation to over a dozen high net worth individuals and their business each for 10 years or more; conducting several dozen cost segregation studies for commercial retail, office, and hospitality properties; active participation as a member of the team that developed the UPREIT structure, now common in the REIT industry; managing the outsourced tax departments of a publicly traded REIT with capital value in excess of $1 billion, as well as a privately held retail chain with $1 billion in gross receipts; and managing dozens of IRS audits including the resolution of an audit adjustment in excess of $1 billion. Examples of Walt’s litigation support and forensic accounting engagements include: Litigation consulting regarding “Springing Recourse” obligations; complex federal income tax applications of Section 197 intangibles (Goodwill) and related anti-churning provisions; consulting with counsel on complex management contract buy-out disputes and multi-property family real estate disputes; providing forensic accounting services to financial institution work-out officers and their counsel for obligations aggregating to over $100 million; and assisting a $100 million real estate development company and their counsel with support to work-out loans during the 2008 real estate economic tsunami. 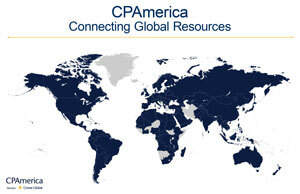 Member Michigan Association of Certified Public Accountants (MICPA). Walt has authored articles appearing in The Value Examiner and other publications. Additionally, Walt has lectured on the intricacies of partnerships and partnership taxation. Walt received his bachelor’s degree from the University of Michigan, Dearborn and his law degree from the University of Detroit (now University of Detroit-Mercy).